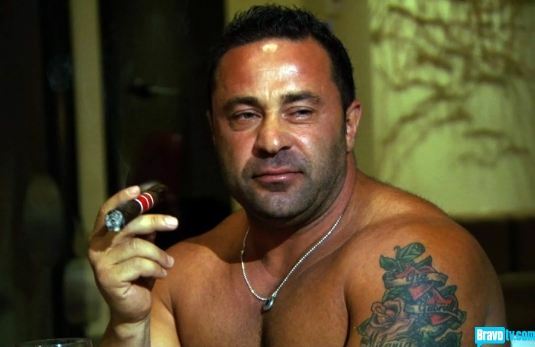 Last night Real Housewives Of New Jersey lost one of its greatest assets when Joe Giudice left for prison. Just think – all it took for the Gorgadices to mend their family feud was for Juicy to get incarcerated! The episode begins counting down the days before Joe goes “away” for 41 months. 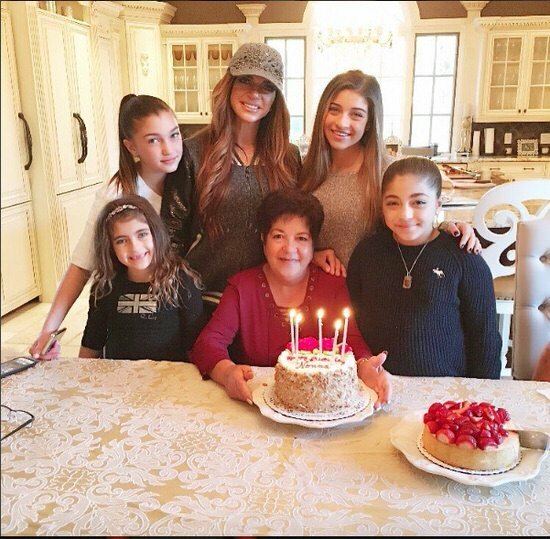 No one feels it as deeply as Teresa Giudice, who tries to make each moment count with special activities for the girls to bond with their dad. First is a little Magnolia Bakery plug to decorate cupcakes for the birthdays Joe will miss while locked up. Also, there was glitter and we know Teresa has never been able to turn her back on an errant piece of glitter. Teresa Giudice has dealt with a lot of struggles the last couple years, from family drama playing out on Real Housewives Of New Jersey, to legal and financial dramas which sent both her and Joe Giudice to prison. Due to her own status as an ex-con who’s on parole, Teresa Giudice had to wait a while before she was approved to visit Joe Giudice in prison. It’s been almost a month since Tre has seen her Juicy, who went “away” in March to begin serving his 41 month sentence. Luckily good things come to those who wait! Over the weekend, Teresa finally gained entry into Fort Dix! While awaiting visitation approval, Teresa has been keeping busy attending the Real Housewives Of New York premiere party, socializing, [miraculously] getting along with Melissa Gorga, wrapping filming for RHONJ, promoting her book, and spending time with her beautiful “dawters.” All while pining for Juicy. 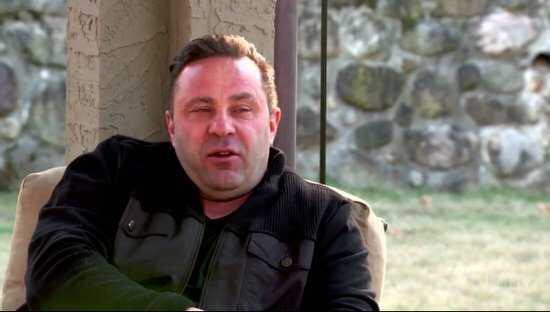 Joe Giudice’s Attorney Releases Statement On His Prison Term…What Can Joe Expect While Serving Time At Fort Dix? The Giudice family reunion was certainly short-lived. Just a few short months after the Real Housewives of New Jersey table-flipping cookbook maven was released from prison, her husband Juicy Joe has started his forty-one month sentence for bankruptcy fraud and that pesky driver’s license debacle. Just as with Teresa’s jail stint, the family has remained upbeat about Joe’s time away, almost pretending like it’s not a real thing. The couple has been spending time together in the same manner they have for years–fighting off rumors of infidelity and pregnancies as their daughters run rampant around their nouveau riche castle. Today Joe Giuidice heads to prison to begin a 41 month sentence for fraud, both bankruptcy fraud and committing fraud for using a fake driver’s license. Fun times ahead! While Juicy has been guilty of some reprehensible behavior (drunken dental surgery, brawling, DUI-driving, offensive wine production, illegal activities galore, and calling Teresa Giudice a c-u-next-Tuesday on TV), there’s something inherently lovable about Juicy Joe, his splits, and his goofiness. Despite our better judgement we’ll miss seeing him hang around our TVs on Real Houseiwves Of New Jersey. Continue reading to see the reasons we’ll miss Joe while he’s in prison!